Wednesday, April 27, 2011 When Ninjas Attack! A Fayette County man attacked by a "ninja" with a sword quickly ended the encounter by pulling a gun. "The only word that comes to mind is, 'seriously?'" Santino Guzzo, 29, of South Union said today. "I know this isn't a laughing matter, but how many people get attacked by a ninja? Really, a ninja?" State police are searching for the man, who Guzzo described as wearing a "ninja outfit literally from head to toe." Police said he broke into 11 cars on Braddock Avenue and tried to stab Guzzo with his sword nearby. Guzzo said he pulled his gun and the man broke the rear window of Guzzo's car as he ran off. Guzzo said he chased the man, who did not move with the grace typically associated with a ninja. "He was like a gazelle that just got attacked by a lion," Guzzo said. "He got up and fell, and got up and fell. Then he jumped off a cliff." Guzzo lost track of him after he jumped. Anyone with information was asked to call Trooper Robert Reitler at 724-439-7111. Guzzo said he will not live in fear of the ninja`s return. "I'm a firm believer in my Second Amendment rights," he said. 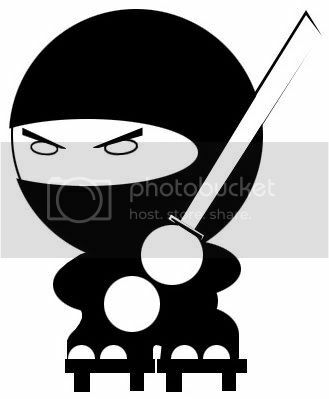 SCOTTDALE, Pa. -- A Westmoreland County man denied he was outside running around pretending to be a ninja, but acknowledges he did leave his 4-year-old son home alone sleeping while he went jogging earlier this month. Ross Hurst, 28, remains in the Westmoreland County Prison after his preliminary hearing on a child endangerment charge was postponed Wednesday. Outside the courtroom, Hurst told Channel 11 News that he wasn't pretending to be a ninja when Scottdale police charged him March 3 at about 1:30 a.m. But police insist Hurst was dressed all in black and "playing ninja" when they confronted him. They said Hurst claimed his mother was babysitting, but she told police she wasn't. "Oh, it was a big misunderstanding. I wasn't playing ninja," said Hurst. "I wasn't playing anything. I went out for a jog. I told the cops that, but they didn't believe me. It was a mistake. I'm not disputing that." Hurst also faces terroristic threat charges for an incident prior to the March 3 incident. Police said he threatened to kill his former friend's pregnant wife. "She was 8 1/2 months pregnant at the time, and he told her he was going to cut her throat and kill everyone in the family. It was just too much and after I heard about that thing about wandering the streets dressed up like a ninja, it's something you really have to take seriously," said Justin Jellots, who called police. "I had been drinking and I was angry. I don't remember what I said, but apparently I called him and I'm going to get through all this and be a better person," Hurst said. Hurst's wife said they've been separated for "a while." She is caring for their son. Hurst is scheduled to appear in court on March 30 for a hearing on both cases. A masked vigilante has taken to the streets of Royal Tunbridge Wells to protect "ordinary citizens". The "Neighbourhood Ninja" claims to be a 25-year-old who has tackled garage break-ins and conducted night patrols. The vigilante, who has so far remained anonymous, is posting his exploits in the Kent spa town on Facebook, Twitter and YouTube. He also says he has reunited missing cats with their owners and warned drivers when they risk parking fines. Places under official "Ninja Watch" are said to include Homebase, the Bedford Pub, and the Royal Victoria Place shopping centre. And the Neighbourhood Ninja even claims to be keeping an eye on this week's royal wedding. In one tweet, he wrote: "Don't worry Chief Inspector of Kent Police, you have nothing to fear from me, I am on your side. I'll leave my nunchuks at home." He has also said he is "bringing the community together" and could even be looking to recruit more ninjas. A Kent Police spokeswoman said the force was not aware of the Neighbourhood Ninja and warned residents they should not take the law into their own hands. At least someone's using their l33t martial arts skills for the common good! Well, goddamn. The BBC is reporting that dear Liz Sladen, better known to two generations as Sarah Jane Smith, has passed away. She had been battling cancer for some time but apparently kept this private. 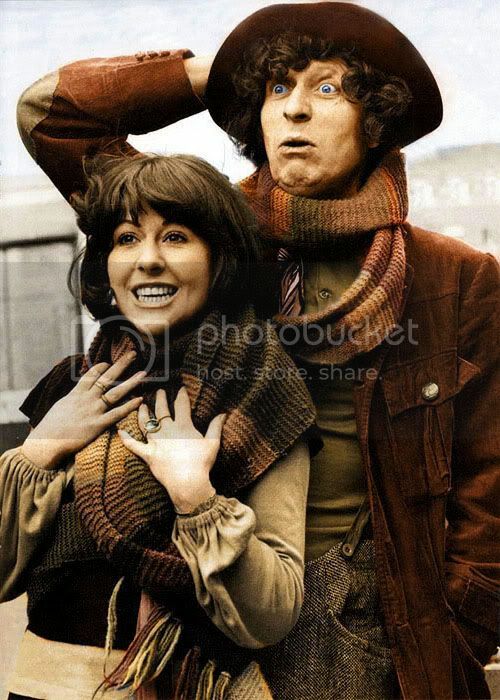 Sarah Jane was my first companion and she will always have a place in my heart.